QUICK TIP: If the web-based setup page of your router looks different than the images below, your router might be using the Classic firmware. 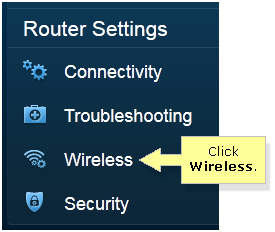 To learn how to check or change its basic wireless settings, click here. Access your Linksys Smart Wi-Fi Router’s local access interface through a web browser. To learn more, click here. NOTE: If you’re having problems accessing your router, its IP Address might have changed. To learn how to check the current IP Address of your router, click here. If you would like to learn more on how to resolve difficulties in accessing the router’s web interface, click here. Your network’s wireless settings will be displayed. 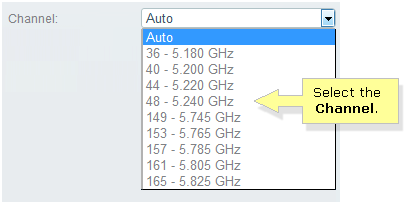 NOTE: In this example, the wireless settings of the 2.4 GHz network is used. 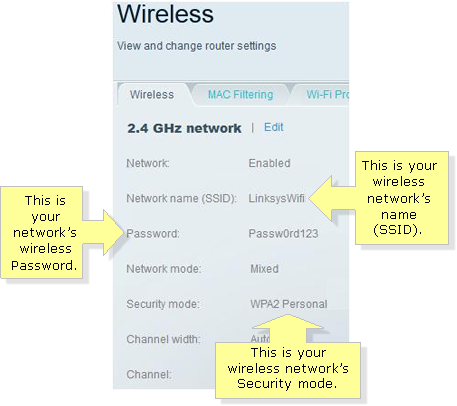 QUICK TIP: The wireless network's password is different from the router password. If you want to learn how to change your router’s administrator password, click here. However, if you want to learn how to retrieve your Linksys Smart Wi-Fi Router’s password to associate to your Linksys cloud account, click here. Click Edit on the network that you want to configure. NOTE: In this example, the 5.0 GHz network is used. Click the Enabled checkbox then enter the new Network name (SSID) and Password in the provided fields. NOTE: The Password is case-sensitive. Choose the Network mode that you want. NOTE: In this example, Wireless-AC Only is selected. Select the network’s Security mode. NOTE: To know the basic difference about the various Security modes, click here. To learn more about why you need to change the wireless Channel width and Channel, click here. QUICK TIP: If you want to view the new wireless settings, click the Apply button, then click Ok.
You have now successfully changed the basic wireless security settings of your router. If you want to know more about changing the basic wireless security settings of your Linksys Smart Wi-Fi Router using the Linksys cloud account, click here. Now that you have successfully configured your wireless network’s basic security settings, you may also opt to configure the wireless MAC Filtering feature of your Linksys Smart Wi-Fi Router for additional security. To learn how, click here.